[7/12]: Replaced old box (Box #2) with New Box (Box #3). Activation went smoothly. I have not done anything else yet with the box, so I'm happy to report no problems so far :-) Stay tuned for an update later tonight after I use it a bit. [7/13b]: With regards to On-Demand, I do not know if something changed recently at Comcast or it is a feature on the Pace boxes, but just about everything On-Demand has macrovision on it. This is evident if you are watching through a recorder or a VCR - you can tell because the picture brightness/contrast changes every few seconds. This is if you are watching, not even recording. If you are watching directly on TV, it is not an issue. I think this is another case of heavy-handed out of control DRM by companies who have lost their way. Even the silliest things have macrovision, like Comcast's own instructions on how to use the DVR! How silly is that? (This is only for On-Demand content). [7/13c]: One annoyance with this particular box that I did not have with the previous boxes is that the remote sensor does not seem to be as sensitive as the previous ones. I was able to use the remote with the other two by bouncing off the beam, but this one requires the remote to be closer, thus forcing me to realign my components. I'll try a new set of batteries in the remote, just in case, but it's the same remote I was using two days ago with my previous box (box #2). More on this later... Update: With a new set of batteries, the remote works from the same angles as before. [7/14a]: I'm happy to report that no crashes yet! There were a couple of close calls, it seems that this box has delays in transitioning from playback of a program back to the live tuner when it is on one of the music channels (Music Choice). There was a delay of a few seconds a couple of times, but the box did not crash! Woohoo! (I guess)... The box does seem to get into the the "slowness" remote response mode/mood that the Motorolas do, perhaps during tv schedule updates? I'm not sure, but it's not a big deal. The prevoius two Pace boxes did not slow down as much. But I'll gladly trade-off remote slowness for no crashes/freezes anyday of the week... I was told by one of the cable company reps that this box (unlike the other boxes from other makers) is designed to be turned off at night or when not in use. This is the first time I heard this, so I'm not sure, I'll have to ask a few more times/people to verify it... It seems to be running the same firmware/software version as the previous boxes. I'll double check the minor sub-release numbers to be sure. [7/15a]: Knock on wood no crashes since. There were a couple of hesitations and slowness upon exiting playback but no freeze/crash. The remote slowness seems to be more frequent than the previous two Pace boxes I had. But I will gladly trade the Motorola-like remote slowness for no crashes/freezes! I hope I haven't spoken too soon. Every time I write that there are no crashes, one follows within a couple of hours. [7/15b]: Yes, a crash, Crash #2 in the Trouble Report. This also happened when changing from one channel to a music channel. See Crash #2 for more details. Needless to say this does not look very good. [7/18a]: And we have our first "transition" freeze/crash with this box, similar to the daily freezes/crashes I got with box #1 and box #2. I would really appreciate it if both Pace and Comcast came out clean with the file system bugs of this. It would earn them a lot more credibility and trust with the customers struggling with this POS. No wonder it was given away at $1 per month (or even free), and no wonder they are no longer renting it out to customers. Memo to Pace and Comcast: Please be grown ups and take ownership of the problem instead of the usual blah blah blah. Added as Crash #3 in the Trouble Report. [7/18b]: Added as Crash #4. Similar as Crash #3 above. I can no longer be nice and polite to this device. It is a total unreliable POS. The gloves are off! No more nice guy to a POS DVR that crashes on average at least once a day when switching from one program to another. [7/18c]: We have a hat trick! A 3rd crash today. Added as Crash #5. [7/19a]: No crashing since. I have now started experimenting with turning the box OFF when I am not going to be using it. [7/19b]: Spoke too soon. One more transition crash, this time starting playback of a previously recorded program. Crash #6 in the Trouble Report. Also added Problem #2, there was no sound from the RCA red/white after the reboot. The RF output did have sound coming out of it. This is the first time I see this (or second). [7/20]: I am continuing with the turning it off/on experiment. I am only turning it off when I won't be using it for more than 4 hours. Because of the Moto-on-Comcast on/off flakiness, I am cautious not to overdo it, so I won't be turning it off the same way one would turn on/off the radio or a dvd player. When turned OFF, it behaves like a VCR with a timer program. It wakes up records a program, and then goes back to sleep. If nothing else, this may save some energy since it allegedly keeps the hard disk powered down when off. [7/23a]: No problems since the last update! A couple of slow-down sessions that worried me for a crash, but it managed to pull through. [7/23c]: I am trying a new blog template to make the pages shorter by making the text portion of the page wider. Please let me know if you have any suggestions or preferences! [7/25]: All good since the last update. I added a new wrinkle to my experiment. Now I have turned RF Bypass to ON, so the RF signal is passed on when the Pace box is turned off. A green "BYPASS" sign turns and remains ON on the front panel of the device. A nice touch since you know that you can turn the TV on and watch any analog channel. You don't have to remember or guess! [7/27]: No news is good news as they say. No crashes/freezes, but I haven't been used it as much either. It seems that if you use this 1-2 hours a day, preferably watch when it is not recording, and record when you are not watching, you are probably not going to have frequent crashes/freezes. But most people get dual-tuner DVRs with hard disks because they watch more than that and in parallel too (eg primetime when it seems more likely to crash). [7/28]: One self-reboot to report, but no crashing/freezing! I am not using it much though, which may be helping with the crashings. Added as Self-Reboot #2 in the Trouble Repor(t). [7/29]: No problems since. I even stress tested it today by recording on both tuners for about four hours non-stop, while playing back at the same time. No freezig/crashing, not even hesitations. I was pleasantly surprised! [7/30]: You know what they say about all good things... The first crash in nine days (excluding the self-reboot). And the funny thing is I had a feeling it was going to happen: I watched a program, pressed STOP to exit it, then deleted it and then started playback of another program from the hard disk. And that's where the [code ACC] crash/freeze happened. So if the problem is indeed file-system related, this makes perfect sense since stopping/deleting/starting playback all involve the file system. Added as Crash #8. [7/31]: Now I am developing a new gut-based theory. Deleting programs from the hard disk may be contributing to the end of program issues, so what I am going to start doing is delete programs only after I finish playback of everything I am going to watch for the day. Then delete programs and let it be. Of course this won't work if there are upcoming programs scheduled to be recorded. But it's one more thing to try/test! 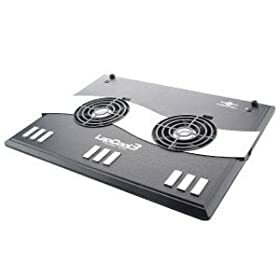 [8/2c]: I bought a USB-powered laptop cooler that I am going to use on my notebook computer. I am going to test it on this DVR and see 1) How much it cools it off 2) Whether by cooling it off it reduces the chances of a freeze/crash. [8/3]: The DVR box can receive Comcast message (green envelope turns on) even when it is turned OFF (still connected to the power supply of course). [8/6a]: No crash/freezes since! I haven't been using the box much however. It seems like if you use it 1-2 hours per day, preferably watching while not recording, and recording while not watching, you may not see any of the crashes/freezes. But if you do record and watch back to back to back programs, you are much more likely to experience the crash/freezes imho... I forgot to mention there were two reboots, but none of them were the boxes fault. One was a short power outage and the other was pulling the power cord instead of the USB cooler cord :) Added as Reboot #3 and #4 in in the Trouble Repor(t). [8/6b]: A self-reboot during playback of a previously recorded program on the hard disk added as Self-Reboot #5. This was followed by a "traditional" freeze/crash, added to the Repor(t) as #10. [8/8]: No new problems or issues, although I haven't been using it much. There were a few blocks of time of slowness in response, but it did not result in any trouble. Also a couple of deleted programs did not return their space to the free space pool right away. That space was returned hours later. This may be an issue if your DVR is almost full. Probably a good idea not to keep it full though. I try to keep mine under 70%. [8/9]: All I did today was change the channel. And it froze/crashed. Needless to say the only reason I am keeping this is because it is $1/mo. Otherwise it would have been returned a long long long time ago. It is sad really because this would have been a really nice SD DVR. But the unreliability and unpredictability of the freezes/crashes during use ruins it. Added as Crash #11 in the Trouble Repor(t). [8/11]: No problems to report since the previous update. Have not used it much though. I am keeping the hard disk under 70% so it always has some breathing room. [8/13a]: No problems to report but then again, I didn't even turn it on on Sunday. I had left it in stand-by, so it turns on to record programs and then goes back to sleep. I think it still wakes up and does maintaince related stuff when it needs to even when it is sleepy because I heard it making hard-disk-type noises. [8/13b]: Oh dear what an unreliable POS! I turned it on, played a one-hour previously recorded program, and when I pressed STOP at the end of the program, it froze/crashed! This is just sad. Added as Crash #12. [8/13c]: Two programs after the previous crash, another one. Same conditions. Added as Crash #13 in the Trouble Repor(t). [8/17b]: It only took three hours of playback for another freeze/crash. And this one happened by merely restarting playback of the currently watched program from the beginning. Added as Crash #14 in the Trouble Report. As punishment for this behavior I unplugged the box and left it unplugged all night long. [8/20]: I am embarassed on behalf of Pace and Comcast (I wish they were embarassed as much as I am - then they would have fixed it!). But at $1/month or $0/month, it is still a good deal. Anything more than that, not so much :) Crashed once again, see Crash #15 in the the Trouble Repor(t). [8/22]: New Bug? This morning I turned it on and found the picture frozen and none of the remote buttons responding. This is the first time I have seen this twist with the Pace box. A new bug? Listed as Crash #16 in the the Trouble Repor(t). [8/24]: This was an interesting crash, perhaps a hint/pointer at some of the crashes? Added as Crash #17 in the in the the Trouble Repor(t). [8/25]: A more traditional end-of-playback freeze/crash here, added as #18 in the the Trouble Repor(t). [9/2]: No problems since the last update, but I only used it heavily for a five hour block and surpringly there were no crashes/freezes. [9/5]: What a POS! This time it froze as it attempted to start recording a scheduled program! Added as crash #21. Needless to stay this Crashathon is going back in the near future. I've had enough of the unreliability! Grrrrrrr! [9/8a]: Just like the script, when ending playback of the third program in a row being played back, the classic freeze/crash occured. Added as Crash #22. Memo to Pace and Comcast: This had a chance to be a great bargain dual-tuner SD DVR. Why do you ostrich this problem? [9/8b]: As mentioned before, the freeze/crashes come in pairs. Ending playback of the first program I started following the reboot mentioned above also caused as freeze/crash which was added as Crash #23 in the the Trouble Repor(t). [9/11]: Well well, two more back to back freeze/crashes just like it was written by a script. One thing I noticed is that this may be occuring perhaps if you delete a program or schedule new recordings while playing back a previously recorded program. This is only a guess at the moment, but would also be additional evidence of file system issues. Crashes added as #24 and #25 in the the Trouble Repor(t). [9/13]: Classic "code ACC" freeze-crash at the end of playback. I did not even touch the remote. Added as Crash #26. [9/16]: Another traditional freeze/crash at the end of playback. Added as crash #27. [9/17]: Crash #28, at the start of playback. I did not delete or schedule anything during this playback block. So clearly the issues are deeper than that!